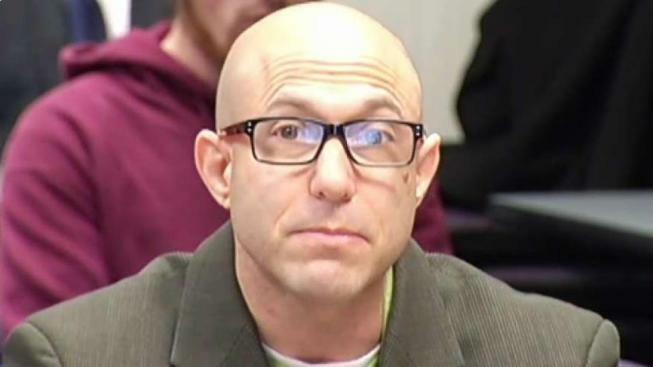 Jeremy Richman, 49, the father of 6-year-old Sandy Hook victim Avielle Richman, was found dead of an apparent suicide in Newtown Monday morning, according to police. The father of one of the victims of the Sandy Hook massacre took his own life Monday morning at Edmond Town Hall, in Newtown, according to police. Emergency crews responded to the building at 45 Main St. that house a theater as well as meetings rooms around 7 a.m. for the report of a suicide. Paramedics found Jeremy Richman, 49, of Newtown, dead at that location, police said. Authorities said Richman's death appears to be a suicide. On Wednesday, the office of the chief medical examiner said the cause of his death was suicide. Richman was the father of Avielle Richman, a 6-year-old who was among the 20 first-graders and six educators killed at Sandy Hook Elementary School in December 2012. Police Chief James Viadero said while his department is confident the death was a suicide, what no one knows for certain is why, but the community has carried heartache for so long. “We know it’s there. Some people perceive that everybody’s going about their daily business and as a result of what happened in Sandy Hook, but that’s not the fact," Viadero said. "My main concern is are there other children out there that are going to look at their parents and wonder now is that something that they have to worry about," he added. Richman and his wife created The Avielle Foundation, an organization dedicated to preventing violence by seeking a better understanding of brain health, according to its Facebook page. “Our hearts are shattered, and our heads are struggling to comprehend. Jeremy was a champion father, husband, neuroscientist and, for the past seven years, a crusader on a mission to help uncover the neurological underpinnings of violence through the Avielle Foundation, which he and his wife, Jennifer Hensel, founded after the death of their daughter, Avielle, at Sandy Hook Elementary School," the Avielle Foundation said in a statement. "Jeremy was deeply devoted to supporting research into brain abnormalities that are linked to abnormal behavior and to promoting brain health. Tragically, his death speaks to how insidious and formidable a challenge brain health can be and how critical it is for all of us to seek help for ourselves, our loved ones and anyone who we suspect may be in need," the statement says. The foundation said Jeremy Richman's mission will be carried on "by the many who love him, including many who share the heartache and trauma that he has suffered since December 14, 2012. We are crushed to pieces, but this important work will continue, because, as Jeremy would say, we have to." Richman had an office at Edmond Town Hall, according to police. "This is a heartbreaking event for the Richman Family and the Newtown community as a whole, the police department's prayers are with the Richman family right now, and we ask that the family be given privacy in this most difficult time," Lt. Aaron Bahamonde said in a statement. The board of managers for Edmond Town Hall said they will close early Monday out of respect for Richman. "The Edmond Town Hall Board of Managers and staff wishes to express our deepest sympathy to the Richman family, the Avielle Foundation, and the community. Dr. Richman was a well-respected and beloved member of the Edmond Town Hall family. We are deeply saddened by his passing," the board of managers said in a statement. They said preparations are being made with the Newtown Resiliency Center to help staff. U.S. Senator Richard Blumenthal called Richman's death "devastating." "Jeremy Richman's passing is simply devastating. I was proud to call Jeremy a good friend, a dedicated father, an esteemed researcher & an outstanding human being. He will be deeply missed by all that knew him," Blumenthal said in a Tweet. U.S. Senator Chris Murphy said in a Tweet that Richman's death was "awful, horrible devastating news." "My god. This is awful, horrible, devastating news. Jeremy was a good friend and an unceasing advocate for better research into the brain’s violence triggers. He was with me in my office two weeks ago, excited as could be about the Avielle Foundation’s latest amazing work," Murphy said in a Tweet. U.S. Rep. Jahana Hayes released a statement, saying she recently met with Richman and his death is heartbreaking. "The news of Jeremy Richman’s death is heartbreaking. I recently met with Jeremy to learn about the Avielle Foundation, and was struck by how optimistic he was about the progress the foundation was making in understanding brain health. He spoke about how the foundation’s investments have led to broader study of brain chemistry and violence," Hayes said. Richman’s death comes after a second survivor of the Parkland school shooting died of what police called an apparent suicide on Sunday. The Centers for Disease Control and Prevention says that suicide is a serious and preventable problem and causes vary. The CDC has resources for prevention strategies here. If you are in crisis, call the National Suicide Prevention Lifeline at 800-273-8255 or reach out to the Crisis Text Line by texting 'Home' to 741741.